The reality is clear, the cloud has won and organizations are moving to SaaS ERP in increasing numbers. As with any ERP implementation, however, the path to making a change is by no means an easy excursion. Regardless of whether cloud ERP is easier to implement than an on-premises ERP, the process still presents risks that an organization may not receive the expected value or the culture may not embrace the change. Failure is still very much a possibility, but there are still some best practices to deliver a successful implementation with minimal risk. Peers Share All: What Made These Projects a Success? A recent IDC report surveyed other companies who have made the shift to the cloud, discussing best practices and providing insights into the secrets of the process so that you can complete an implementation without hassles. IDC PeerScape: Practices for Implementing SaaS and Cloud Services looks at three challenges and potential solutions for delivering ERP, interviewing 60+ line-of-business and IT buyers on their path to purchase. While initially proposed as a cost-cutting measure, the push to the cloud has uncovered many other benefits for companies as well. Still providing decreased costs, today’s companies are finding that SaaS ERP offers newfound levels of agility and flexibility as well, due in part to the anytime, anywhere access offered. However, the migration process often uncovers a wide range of challenges for businesses; bad data on-premises turns into bad data in the cloud. One of the most effective ways to address this is to request a demo using your company’s real data. During this process, you will often uncover any challenges or failed alignments that may cost you in the future. Real-time comparison between legacy systems and new software, see just how much a new system will improve your business. Your implementation partner will see just what challenges and potential pitfalls lie ahead while making the migration. You will see if any customization is necessary and will be able to communicate your needs more effectively. While SaaS and cloud products can be easier in some technical ways to configure and to roll out, the "classic challenges" of integration, testing, training, and change management do not go away. A major portion of the “postmodern ERP landscape” is the realization that complexity will never go away—even if cloud applications are able to handle it more efficiently than a traditional best-of-breed stack. The risk of integration challenges is even more prevalent in the cloud, where updates occur more frequently, greatly increasing the testing load and potentially resulting in a disconnection or integration failure each time the software updates. Knowing in advance what will work and what will present challenges could help you decide on which application is going to benefit you and which will cause headaches. Plan for an increased tempo for all types of testing activities and investigate ways to increase your level of sophistication about cloud-based methods and tools as well as test automation. Play with the vendor’s test environment before committing to a solution. Stay up to date with all of the changes proposed and made with each update. 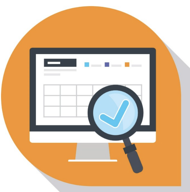 Run performance testing to see if your vendor can handle your needs during extensive use. Before you go live, you should get to know what is on the horizon and before each new release, you should see how a change will affect your business. While updates in the cloud are easier than ever, each new SaaS release generates post implementation issues to assess, test. and resolve. As your cloud applications can’t work in isolation, you will need to understand what can go wrong so that you can address it before it does go wrong. Organizations often talk about the "journey to the cloud" as if the cloud is the static endpoint of the journey. The reality is the journey continues once the organization is on the cloud. Life on the cloud is far from static, and there is a risk that an organization might underestimate the effort needed to stay on top of the continuous changes that SaaS and cloud-based software introduces into the organization. Take a proactive approach so that you can understand the innerworkings of a software and exploit their benefits. Avoid thinking that your journey to the cloud is a static approach. Realize that you will face updates frequently and software changes quarterly or biannually. Look proactively at the content of the regular updates/upgrades you receive; don't miss out on potentially value-adding functionality, but be ready for tough choices. IDC PeerScape: Practices for Implementing SaaS and Cloud Services offers insights and success stories for companies looking to take their ERP to the cloud, providing readers with warning signs, best practices, and guidance on steps you should take before you make the move. Choose the right vendor—not just the right solution. Present an airtight case for your new technology. Reduce the testing burden of each new software release. Prevent post-implementation issues from affecting your business processes. Maintain total control over software updates. We invite you to download the entire report here. At Cloud 9 ERP Solutions, we believe in the transformative power of the cloud for the modern business. 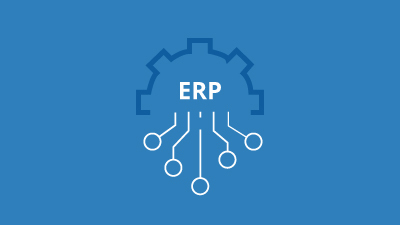 We’ve been in this business long enough to understand the gamechanging nature of cloud applications, and have helped companies just like yours to make an informed and confident decision about their path to cloud ERP. We invite you to read case studies, subscribe to our newsletter, and contact us for more information.